Gorilla Glass is two to three times stronger than chemically strengthened versions of ordinary soda-lime glass, even when just half as thick. Its strength also means Gorilla can be thinner than a dime, saving on weight and shipping costs. An ultra-strong glass that has been looking for a purpose since its invention in 1962 is poised to become a multibillion-dollar bonanza for Corning Inc.
Corning set out in the late 1950s to find a glass as strong as steel. Dubbed Project Muscle, the effort combined heating and layering experiments and produced a robust yet bendable material called Chemcor. Then in 1964, Corning devised an ingenious method called "fusion draw" to make super-thin, unvaryingly flat glass. It pumped hot glass into a suspended trough and allowed it to overflow and run down either side. The glass flows then meet under the trough and fuse seamlessly into a smooth, hanging sheet of glass. To make Chemcor, Corning ran the sheets through a "tempering" process that set up internal stresses in the material. The same principle is behind the toughness of Pyrex glass, but Chemcor was tempered in a chemical bath, not by heat treatment. Corning thought Chemcor sheets created this way would be the material of choice in car windshields, but British rival Pilkington Bros. intervened with a far cheaper mass-production approach. And another Chemcor adaptation in photochromic sunglasses also fizzled in the retail market. Gorilla showed early promise in the '60s, but failed to find a commercial use, so it's been biding its time in a hilltop research lab for almost a half-century. It picked up its first customer in 2008 and has quickly become a $170 million a year business as a protective layer over the screens of 40 million-plus cell phones and other mobile devices. Now, the latest trend in TVs could catapult it to a billion-dollar business: Frameless flat-screens that could be mistaken for chic glass artwork on a living-room wall. 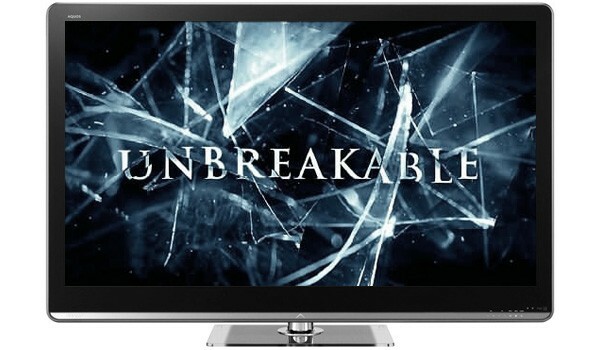 Because Gorilla is very hard to break, dent or scratch, Corning is betting it will be the glass of choice as TV-set manufacturers dispense with protective rims or bezels for their sets, in search of an elegant look.